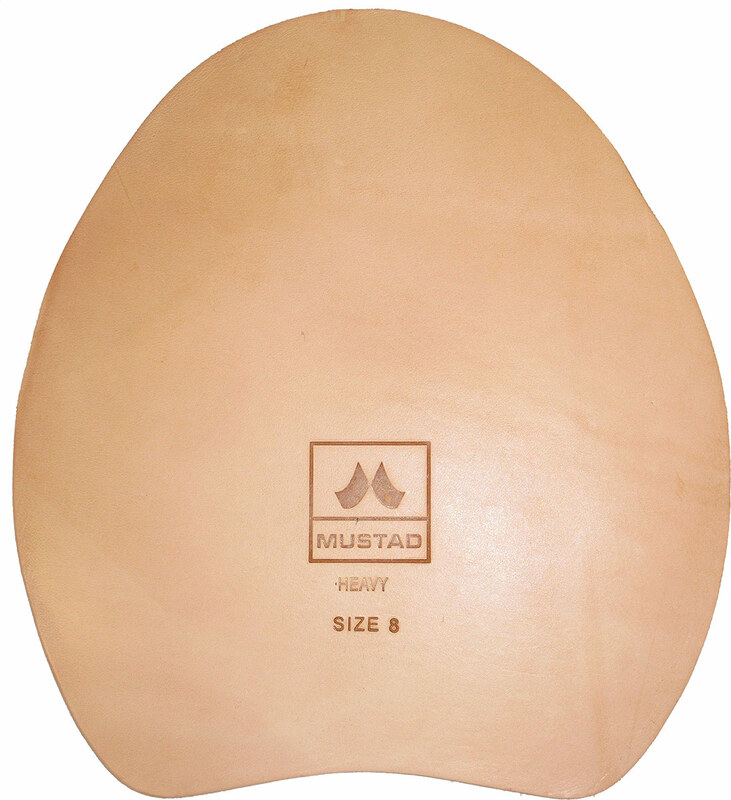 Mustad leather pads are made of solid and heavy-duty buffalo leather. They are available in the sizes 4 to 8 and in three types: light (approx. 4mm thick), standard (approx. 5.5mm thick) and heavy (approx. 7.5mm thick). The high quality South-American leather excels because of its solid and sustainable character. This natural product therefore offers optimal sole protection and shock absorption. Most filling materials adhere very well with this pad due to the natural rawness of the surface. This prevents the filling material from sliding out.